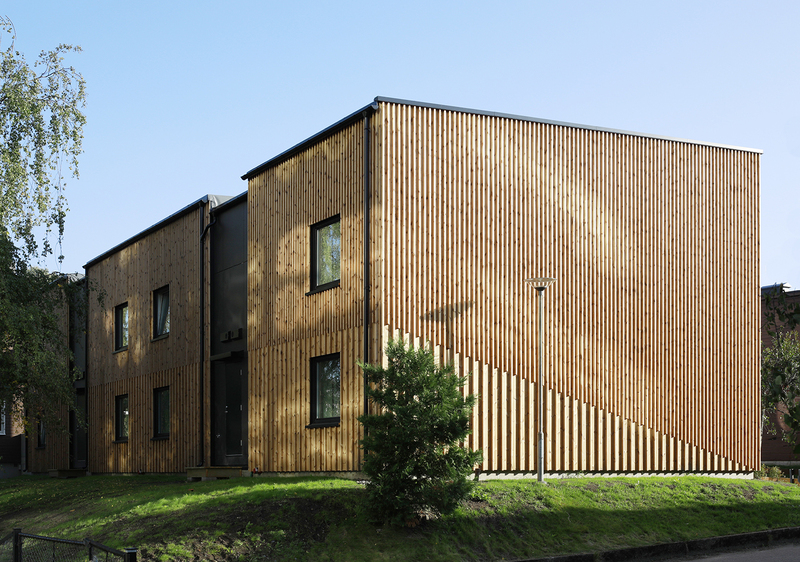 The Norwegian demonstration building is a two-floor building with eight small dwellings in total, located at Haugerud in the city of Oslo. Haugerud is a suburb in the east of Oslo with housing developments and houses built around the metro station. The demonstration building is only a two minutes’ walk from the metro station. It has a simple geometry with a lot of space around it, two factors that Boligbygg considered an advantage when looking for a suitable demonstration building for the 4RinEU project. Boligbygg is the partner in 4RinEU that is responsible for the Norwegian demonstration case, and it is a municipal enterprise that owns, manages and leases Oslo’s municipal housing. The demonstration building is 100% publicly owned by the city of Oslo. 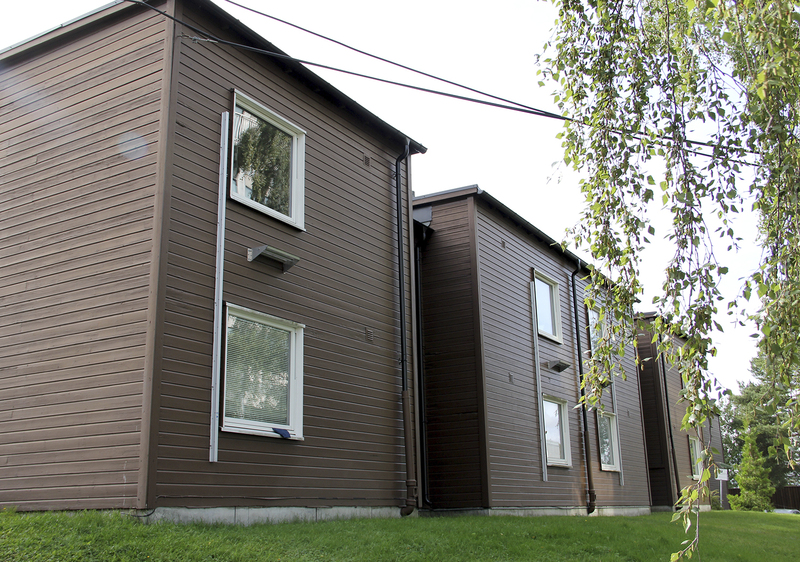 Boligbygg is the largest rental housing cooperation in Norway and provides housing for about 25 000 inhabitants. They live in one of their 11 000 rental units. The City of Oslo owns both single apartments in private housing cooperatives, and it has 330 larger building developments fully owned and managed by the company. Vera Lukina is the head of the project section in Boligbygg. She has been working with the project from the beginning. Our main motivation for participating in this project is our tenants. We want to provide high quality housing that contribute to the climate targets of the city. At the same time, we are struggling with a backlog in building maintenance, and we do not have replacement buildings we can use during renovation. Through the 4RinEU project we are addressing this problem and looking into solutions that enables renovation to better, more climate friendly buildings, with minimal interference to our tenants, says Vera. The City of Oslo is one of the cities in the world with highest ambitions when it comes to climate action. The target is to reduce climate gas emissions with 95 % by 2030, and Oslo is well on its way and has reduced the emissions by 16 % since 2015. 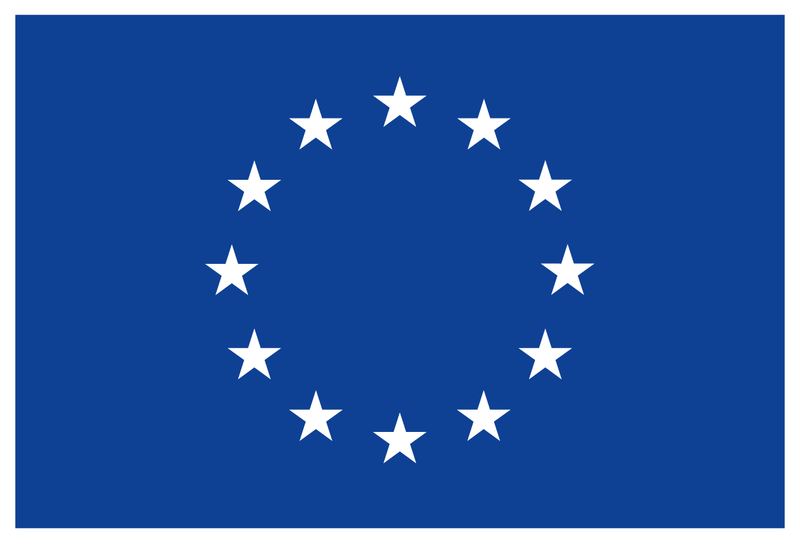 Oslo has been reworded for its efforts by being awarded the European Green Capital 2019 Award. The simple geometry and architecture with only two windows each apartment, and a generous amount of space surrounding the building made it ideal for testing. We were able to make the elements large and still have enough room around the building to mount them. The idea was that this would reduce the time spent on the actual construction site. The more detailing we could do in advance the less time we would need to spend on site. Minimizing the impact for the tenants, says Vera. Finding the right supplier for manufacturing the facade elements was crucial for the success of the project and proved to be a challenging task. 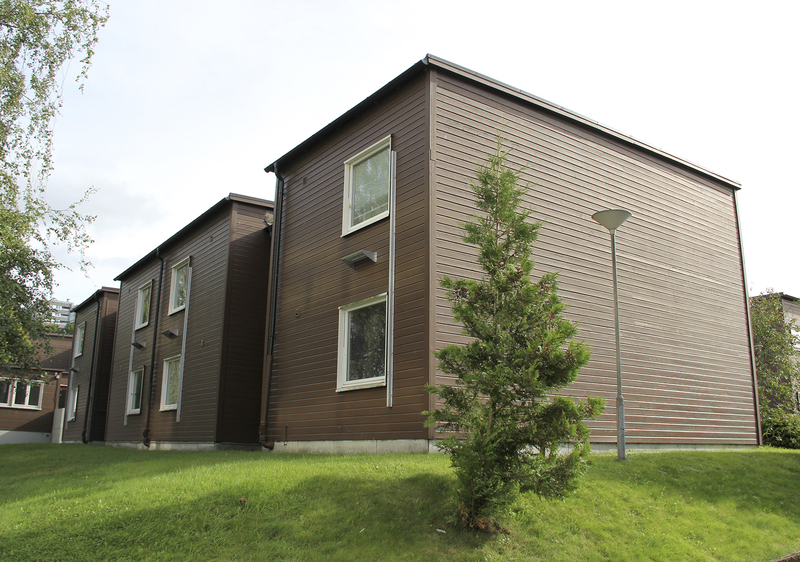 Boligbygg spent almost a year in search for a supplier that had the qualifications required and that was willing to invest time and effort in the project. An important target was to find a supplier that saw the potential in the solution and that wanted to develop a solution for a larger market. 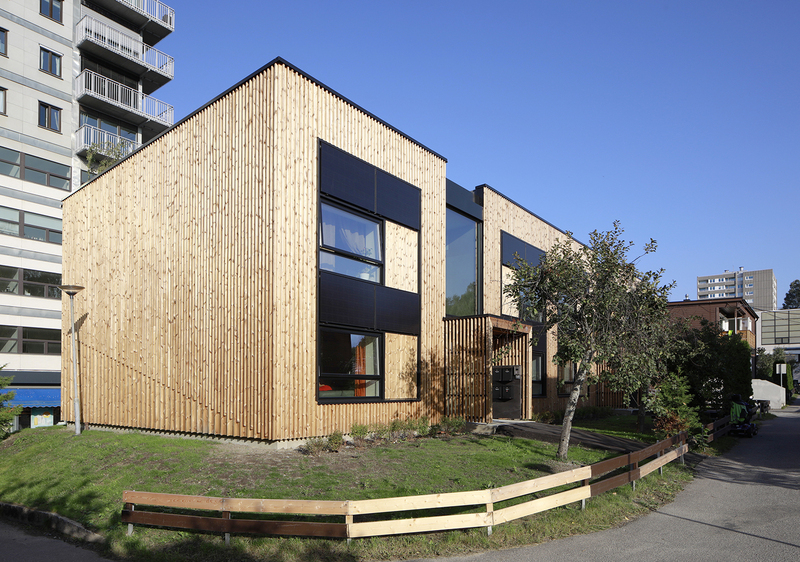 Norway has a long tradition using prefabricated elements for new buildings. However, this is the first project that uses prefabricated façade elements for a renovation. This is a completely new technology and market in Norway. At last Boligbygg signed a contract with Lindal treindustri, a company located in the south of Norway. They started putting together a design team consisting of design group leader, an architect, a construction engineer, a timber-elements specialist, an energy specialist, an electrical designer and an HVAC expert. At one point the team consisted of 18 different experts from Lindal and Boligbygg. In the design phase, Boligbygg depended on the resources from the 4RinEU team. All the research partners - Sintef, Eurac Research, and Gumpp&Mayer - were working closely with Boligbygg in this phase. It was challenging to coordinate the 4RinEU targets vs. our local targets and limitations, Vera explains. We used the EarlyRENo tool to design and check PV locations. Gumpp&Mayer had great experience and helped us to keep an eye on the details, asking the right questions at the right time. Our local research partner SINTEF has been very important for us. Together we had to debate and decide on challenges as whether to keep the cladding. Another challenge was to get the insulation on the roof tight enough. One of the main decisions in the design phase was the choice of renovation package and what technologies to integrate into the solution. Boligbygg had to evaluate the technologies and solutions based on the local building legislations and local climate conditions and needs. We knew we wanted to use the prefabricated elements. We also knew that the ceiling fans would not be possible due to the ceiling height in the dwellings. We considered that doing something with the water consumption system would cause to much disturbance to our tenants. We integrated the PVs in the façade elements; however we saw no use for the Plug&Play Energy Hub. We were looking for a way to integrate the ventilation unit and found the only reasonable way was to integrate a press air unit in every bedroom. So that’s what we did to test in and try and see how it works. Integrated PVs on prefabricated façade elements had never been done in Norway before, Vera explains. BIM was used throughout the design phase and the 3D model was used for the production of the elements. The design team collaborated within the 3D model in BIM. The design team has stated that this was a crucial point of success. Both for the cooperation between the experts, and to achieve the level of detailed needed in order to produce the elements at the factory with minimal adjustments on site. The elements were cut automatically but built manually. Integration of PV was new to everybody and the design team had to design an original system. Also considering the building height, the elements were joined vertically to reduce the risk of construction errors. This was possible because the demo-case was a low-rise building, and there was enough space around it. The transportation to the construction site was considered a risk and the driver had to be careful. The transportation time was about 3-4 hours. The renovation phase lasted the summer period. Every detail was carefully thought and designed, as well as the logistics was detailly planned. Good coordination and skilled workers were important success factors. The team used lifts and had to spin the elements around in the air in order to have enough room. The plan was to lay the element on the existing foundation of the building, however the team faced some difficulties, in consideration to the fact that the existing foundation was considered not suitable. The team had to construct a new foundation in order to robustly hold the building elements. Accordingly, the construction phase suffered a slight delay. Though the team was able to manage the obstacles and deliver the project. The overall result is an improved building, with improved levels of insulation, PVs and balanced ventilation. The building works period was relatively short, though longer than planned, and the tenants lived within the apartment during the deep renovation process. Lindal is now aiming for a certification of the system and want to introduce it into the market. One of the main success factors has been the cooperation with the tenants. Especially in consideration to the fact that many tenants stayed at home during the day; therefore, the aspects of good communication and safety were crucial. Information work was very important.